Here are all news from past... They're moved from main page every year. 2018-12-02 Acquired another BTX terminal: Multikom S1, manufactured by Siemens, this terminal with built-in CRT monitor was used to connect with BTX network. It is made using much newer technology than (even later) Loewe units. It has markings with logos and was distributed by German Post Authority for accessing the network. 2018-11-02 Added a Reuters SK 101 BL Terminal keyboard. 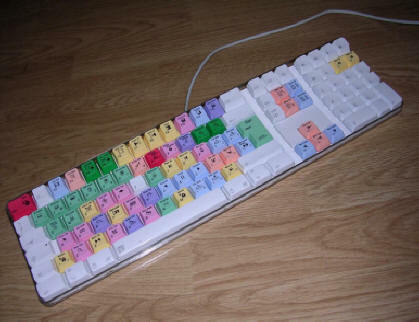 This is a serial terminal in form of keyboard for a more complex digital trading system. It has a small LCD display built-in and some useful tools such as calculator and converter. 2018-09-09 The PC Section finally looks more or less complete, so it's no more "Under construction". 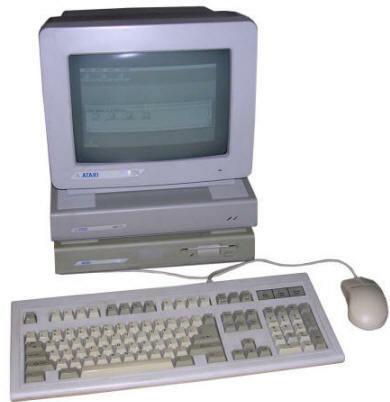 The last one to describe was an unusual IBM Power Series 850, a computer which was powered by PowerPC processor, used in mid-1990s as a high-power workstation for CAD, computer simulation and scientific computation applications. Also, the front page has been changed and minimized a bit, I also updated things here and there. Additionally, experimental https support has been added for pleasure of tinfoil hats fans. If your provider messes with content on pages, just change a provider! You don't want a postman to read your mail! 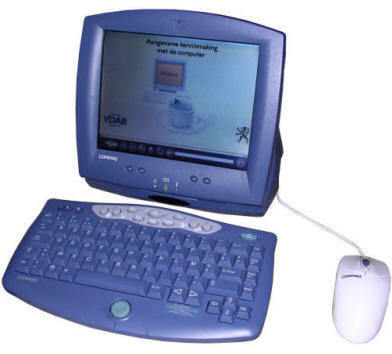 2018-08-13 Added a Compaq Clipper IA-1 (iPaq IA-1) Internet Terminal made in 2000 for Belgian Internet provider. It is in fact a small PC with wireless keyboard, small LCD and proprietary operating system with only one program to browse the Internet. 2018-07-30 Added a Highscreen 386 portable PC (I think it's Highscreen). 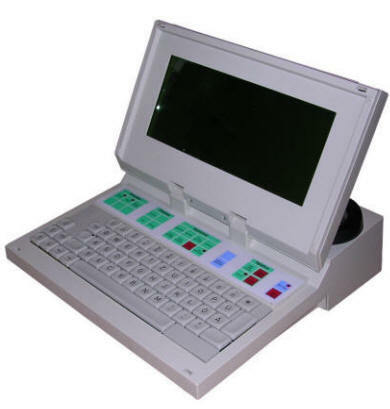 It is a portable computer from early 1990s, used as control system. 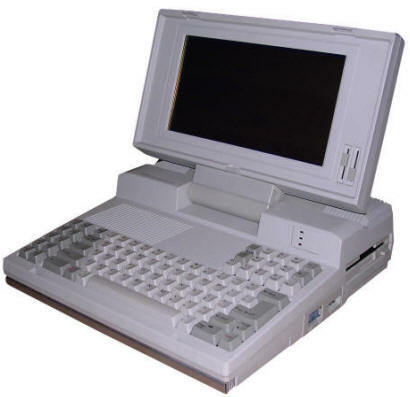 It has a typical, desktop internals, but the casing contains LCD panel (VGA resolution, grayscale) and detachable keyboard. It was used as a control/measurement system for some industrial testing device. 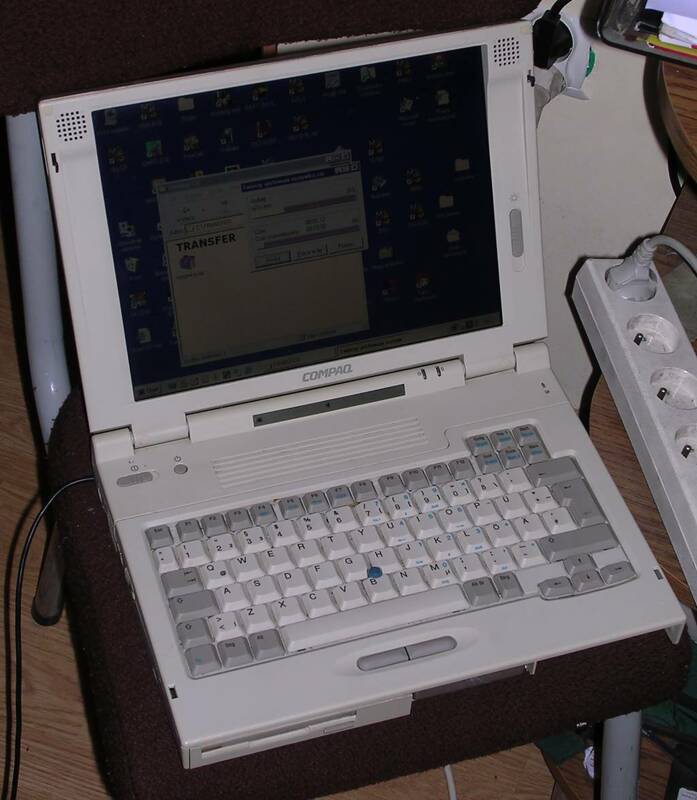 2018-07-09 Acquired a Fujitsu Lifebook C325 notebook from 1998 powered by Pentium I, a typical portable from the age. Updated Power Macintosh G5, as I restored another unit, in even worse state. Got one more terminal and portable, so they'll be in next updates. 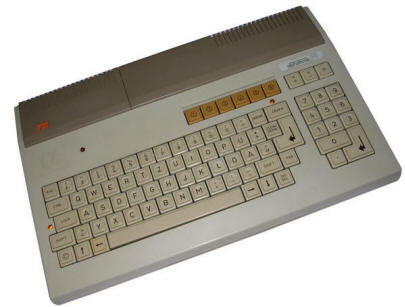 2018-06-04 Added Atari Mega 1 - A professional version of 16-bit Atari ST computer, with 8MHz Motorola 68000 processor and 1MB of RAM. Additionally, the computer has an Atari SH205 20MB hard disk. 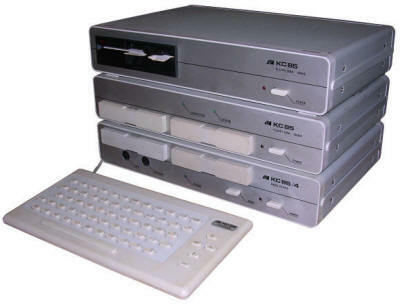 These computers were used in multimedia authoring, DTP, as CAD stations or, thanks to the MIDI interface, for music production driving synthezisers. 2018-05-26 Added BEMZ Bajt (Byte) computer, made in Belarus in late 1980s/early 1990s. This is a ZX Spectrum clone made using TTL chips and programmable ROMs. 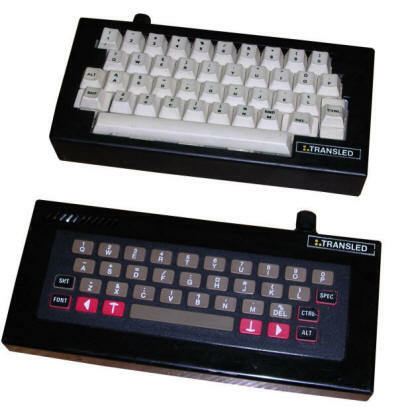 It was sold as computer, and when became obsolete, as a TV game. It has quite comfortable keyboard and additional sound synthesizer. 2018-05-10 Added a network card for Macintosh Performa 6200/200. Can be seen in its Gallery. 2018-04-20 Acquired an interesting mass storage device from 1980s - an IOMega Bernoulli Box. 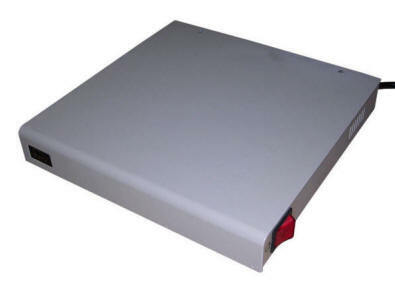 This magnetic disk drive allowed to store 10MB on a removable cartridge. In the era of 20MB disk drives it was a huge expansion, especially that it was much faster than tape streamers (SCSI interface) and allowed to access any data part without waiting to rewind the tape. 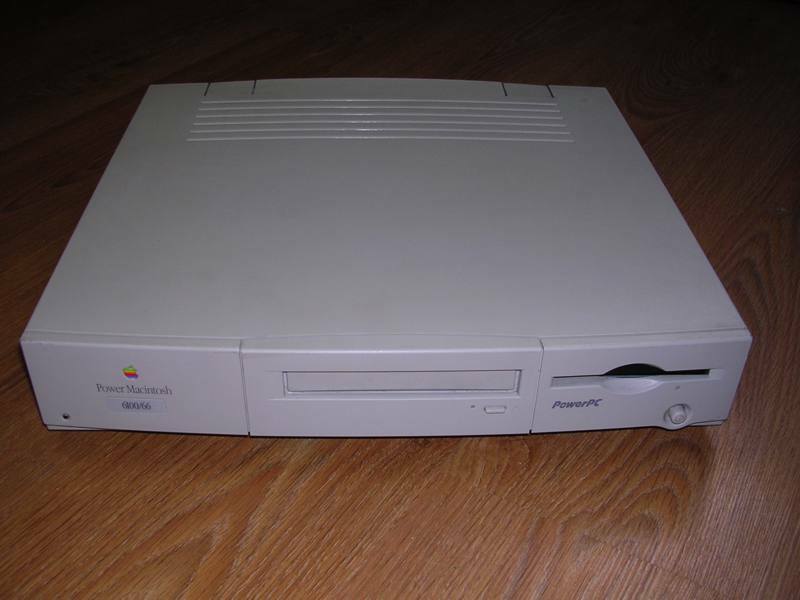 2018-02-22 Added Power Macintosh 9500 - a high-end Apple computer from 1995 with PowerPC processor, large amounts of RAM and PCI slots. 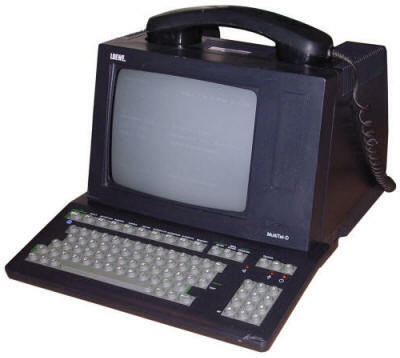 As a multimedia computer it has significant upgrade capabilities. In late 1990s it has been upgraded with G4 400MHz processor and 128MB of RAM, additionally 2MB video board has been replaced with a 16MB accelerator and 100MBit network adapter. The computer had to be restored including joining broken plastic parts. However, by using proper chemicals it was possible, in a significant time, to restore it. 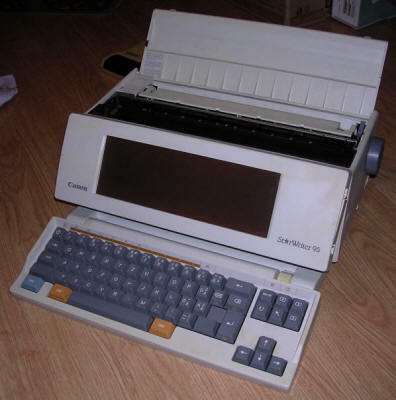 2018-02-04 Added a Canon StarWriter 95, this is not exactly a computer, but rather a specialized microcontroller-based computer system for word processing with text editor, spreadsheet and scanning program to import pictures. Everything on around 256kB of RAM. 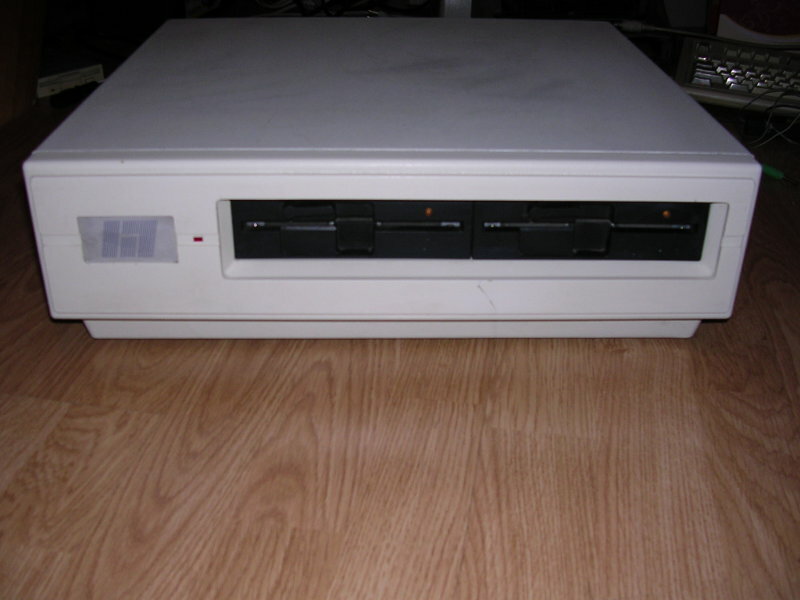 and the double-density floppy drive as the only storage. The machine has a small LCD screen and an ink-jet printer to print documents. Acquired Triumph-Adler Alphatronic PC - another Z80-based microcomputer with 64kB of RAM and BASIC, as well as with CP/M support if disk drive is connected. This computer wa snot much successful and was made only for a short time. 2017-12-27 Added a Swedish Teleguide terminal, unit built by German Loewe in 1992 on the base of Multitel D design. The Swedish version of Bildschirmtext (like more known French Minitel) service was not as popular as BTX was in Germany, so it was quickly shut down after a bit more than a year of operation. Contrary to the German equivalent, it looks like chip cards were used to "log into" the service, not phone number. 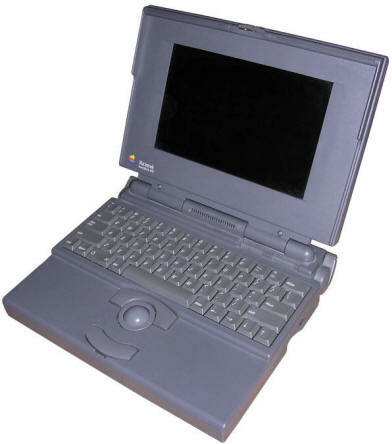 2017-12-23 Added a Macintosh Powerbook 165c, the first Apple notebook with colour display from 1994. Although it was in my collection for longer time, I finally managed it to power on. 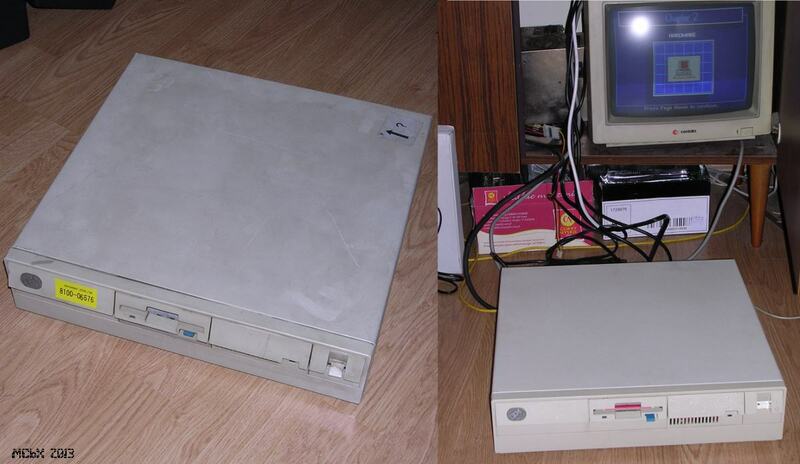 It has 33MHz processor, 8MB of RAM, and 120MB SCSI hard disk. The 256-colour picture is shown in a small LCD screen with 640x400 resolution. Because any way it's Apple Mac, it's in Apple Computers category. 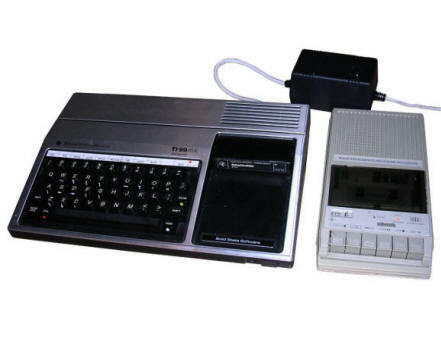 2017-12-09 Added Commodore Datassette 1531 - an original tape recorder used with Comomdore 16 and Plus 4 computers. 2017-11-29 Added the computer sometimes known as the first laptop: Epson HX-20. Maybe not a "clamshell" type laptop, but definitely portable computer. Its size is like A4 book, it's battery-powered and has built-in printer, LCD screen and microcassette recorder. Two 6301 processors clocket at 0.631MHz are running this system, it has built-in BASIC interpreter and monitor. There is only 16kB of RAM, but it can be expanded with modules. 2017-11-19 Added a LTO Ultrium streamer, similar to DLT but with some newer technologies. 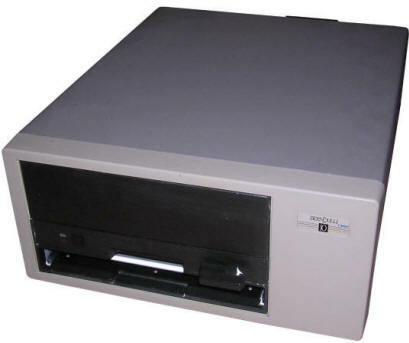 These tape drives are used even today in servers for backup purposes as they can fit even a few terabytes to one tape cartridge. 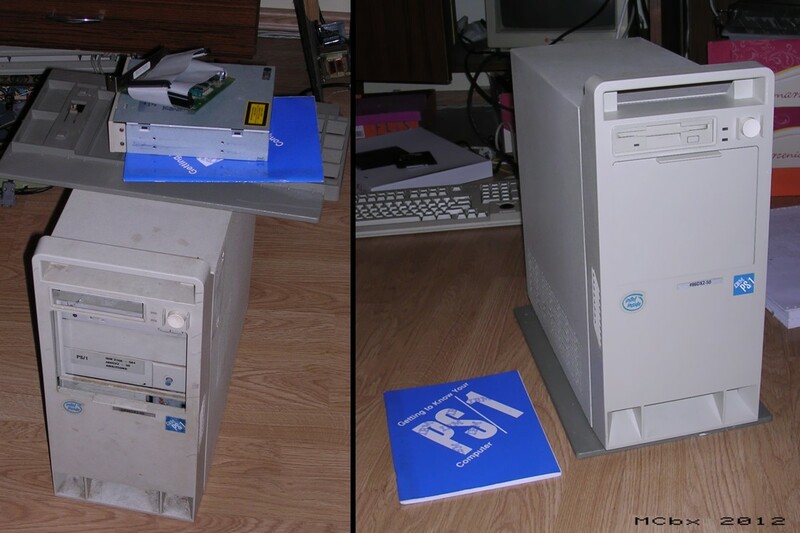 Additionally, a BIT Computer PC from around 2000. Contrary to AMD or Intel, this one has VIA/Cyrix processor. 2017-10-28 Acquired a Power Macintosh G3 Blue&White. 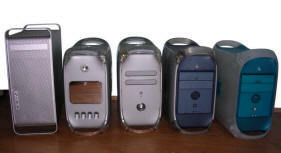 This makes a complete casing series with Power Mac G4, G4 Quicksilver, G4 MDD and G5. Apple released a re-designed PowerPC-based Power Macintosh line since 1999 to the end of PowerPC series around 2007. 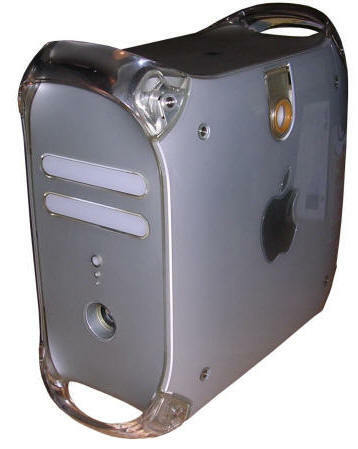 Also, a Power Macintosh G4 Cube has been shown as even more stylish part of the series. 2017-10-21 Added a Power Macintosh G4 Quicksilver, an early 733MHz unit, unfortunately not functional. It has 256MB of RAM and hard disk, as well as re-designed case (contrary to blue Power Mac). Also added last G5 Macs, Power Mac G5 and early iMac G5. G5 Macs were the last models with PowerPC processors, after making them quad-core and overclocking enough to add liquid cooling to the last Power Mac G5, Apple decided to switch to Intel processors - Macs became a nicely-engineered PCs and Mac OS X became ported to Intel architecture, allowing PC users to make "Hackintosh" PCs running Mac operating system..
2017-10-13 Added two terminals: Loewe Multitel D for German Bildschirmtext service, with telephone support and monochrome screen. 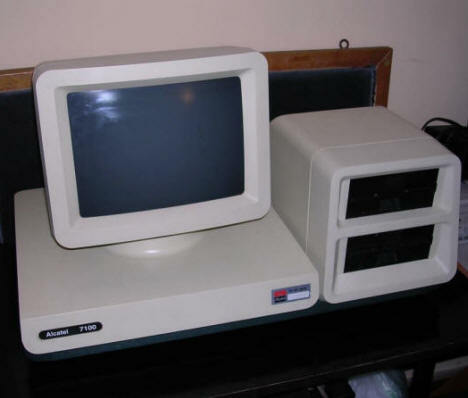 The second terminal is ITT Courier, with colour display, which was used with IBM mainframe networks. 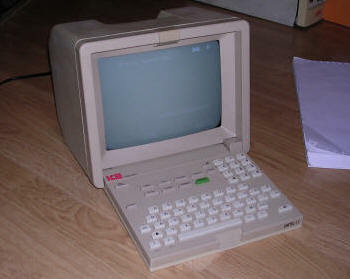 It is an unit from 1986, having 64kB of memory and color display driver. 2017-08-18 Added a Mattel Aquarius microcomputer. This is a Z80-based home computer with 4kB of RAM and BASIC, designed more to play games and learn BASIC than to do serious programming. It was sold under Mattel brand, but made by British Radofin company. 4 months after release it was pulled from the market. Ah, finally found keyboard for ALR Proveisa server, it can be seen in gallery. 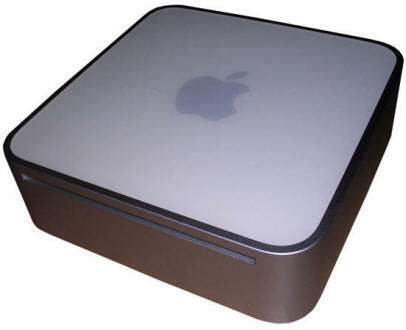 2017-08-05 Added quite modern Mac (2005) - Apple Mac mini. 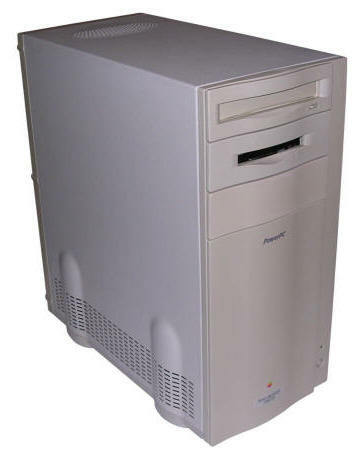 A PowerPC computer enclosed in compact case sold as low-end Macintosh to make PC users swap to Mac easier. 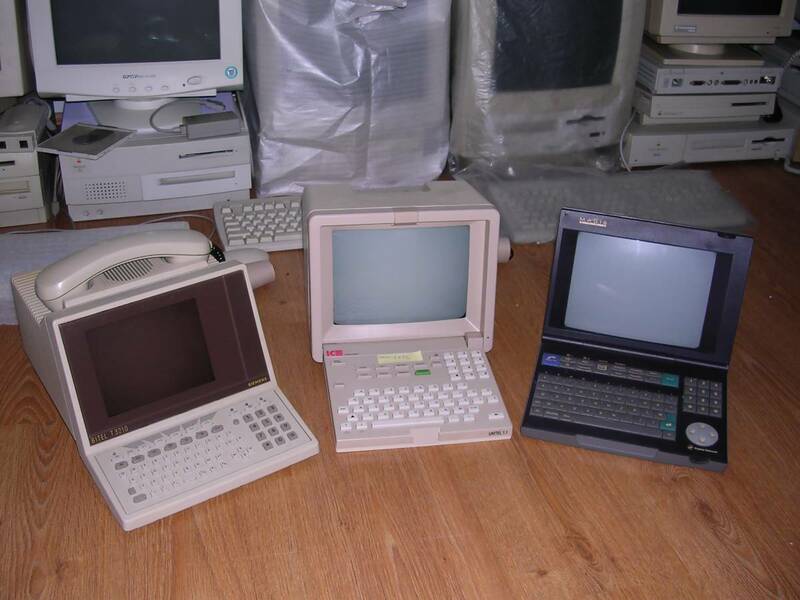 As its form is compact, most of these computers were used as set-top boxes and media players. 2017-07-29 Added iMac G4 700MHz, flat panel version. 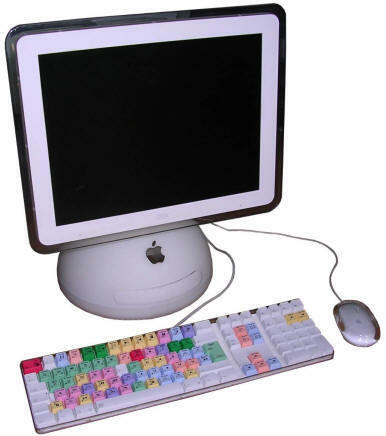 It was the first iMac model with flat panel display, beginning of abandoning CRT displays. Picture quality was quite good with 15-inch TFT making iMac still a nice computer for graphics processing. As with all iMacs, its case is in quite interesting style. Added strange 1980s controller machine: Shimadzu C-R4A, probably from some scientific instrument. 2017-07-21 Added a Philips Minitel 2 terminal, a small CRT terminal which was used to access French Minitel communications network. As they've been built to quite strict standards, it's very similar in construction to e.g. Alcatel's equivalent. Awaiting a new-old Mac, one of the first with LCD. 2017-04-23 Added PECOM 64 8-bit computer. A small microcomputer developed for teaching computer science in Yugoslavia in 1980s. 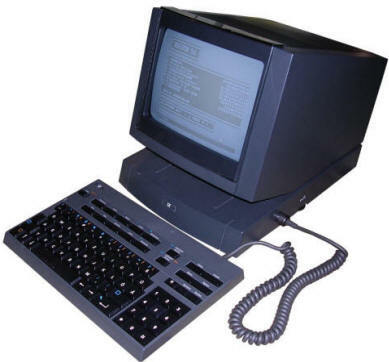 It is based on CDP1802 processor and has 32kB of RAM. It is relatively slow and has BASIC interpreter in ROM. The benchmark page has been updated with it. 2017-04-16 A new exhibit in portable PC collection: Compaq Contura Aero 4/33C. 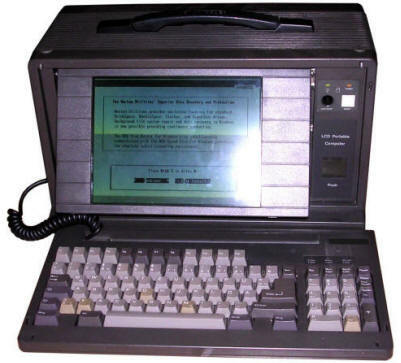 One of the first ultra-portable PC notebooks, which later evolved in subnotebooks and, much later, netbooks. 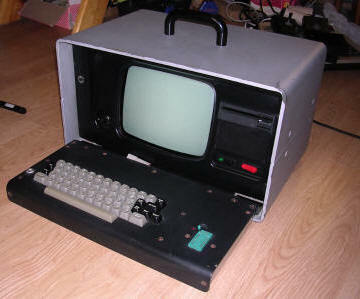 In processing: Ei PECOM64, computer used in former Yugoslavia countries to teach computer science in schools. Very strange architecture. Totally not like common Z80, MOS or 8080-based machines. 2017-04-02 Acquired another machine - Sintez 2: Soviet/Modovan ZX Spectrum clone which has case looking like ZX Spectrum Plus, but power supply is a bit bigger. It is based on Z80 CPU (foreign) and TTL chips instead of ULA present in original Spectrum. It has also no RF modulator, but a rather high-quality RGB output. It was sold in early 1990s as video games computer. 2017-03-12 Acquired a Robotron K8915 computer. It's a CP/M microcomputer with power supply and monitor built-in. Processor is Z80 and this unit has 128kB of RAM. Unfortunately I got no floppy drive or keyboard for it. It was built in East Germany in 1990, so it is quite late unit. 2017-02-25 Added a Z80-based LED display driver: Transled, a newer version from early 1990s. Well, non-branded PCs at last got their section which is more-or-less done. Although these informations can't be used in PCs with other configurations, you can see them in their page as another exhibits in the museum. 2017-01-31 Acquired and restored Robotron A7100 16-bit PC-like East German computer with proprietary monitor. Unfortunately without keyboard. BTW: Internet Archive released lots of computer magazines to download or read online. You can browse the collection in its Internet Archive site. 2017-01-20 Hello in 2017. There are some new things in still constructed PC section as well as non-branded PC gallery which, when ready, will be also described. Some microcomputers were acquired, yet they need to be repaired and discovered properly. 28.11.2016 Acquired Polish Creator IKT-5A serial port terminal made ca. 1993. It was probably manufactured before IKT-6, and still has Fura Elektronik logo in software, while being sold by company called "Creator". It is in "new old stock" condition, in a box, probably not used at all. 16.10.2016 New terminal in collection: Siemens Multitel Fe Ap 90-1.1. It is similar to earlier Siemens Bitel machine, but is simplified and upgraded. It is also in completely working condition and has a key for its lock. These terminals were used solely for German Bildschirmtext service, used to transmit information pages by telephone line. Also, Elwro Desktop calculators list has been updated. 28.09.2016 A new portable laptop PC in collection: A V30-powered Nec Multispeed HD from ca. 1989. 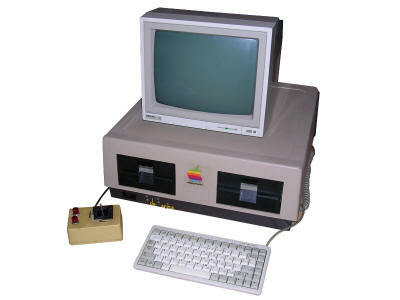 It has 640kB of RAM in static chips, 20MB hard disk and 720kB, 3.5" floppy disk drive. In its ROM there are useful programs to minimize power-consuming hard disk usage. These programs can work in a RAM disk saving more power. And if user wants to work with external monitor, it is possible to detach the screen and use the base like keyboard. Still slowly building up the PC Section. 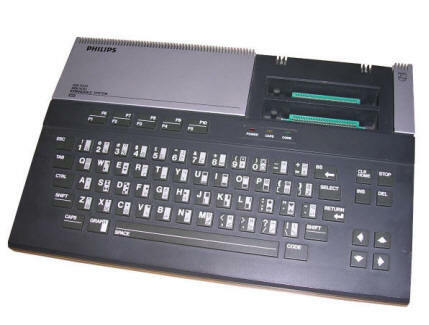 04.08.2016 Added a Philips VG8000 MSX computer. 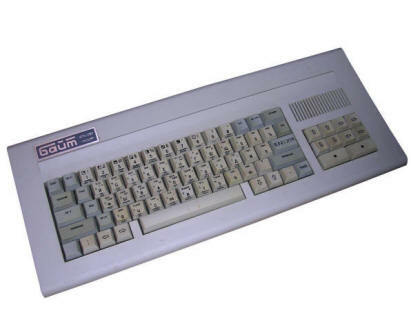 Quite early MSX machine with 16kB of RAM and without many possibilities of expansion, popular in MSX computers. The website finally got rid of most JS code, substituted with CSS. Although there was almost no JS code here, it was still in my opinion overused. Visitors' CPUs have many other things to do. 29.07.2016 Because I was diagnosing some hinge problems with my Pocket-PC palmtop, I've added two photos of the mainboard of my HP 200LX. You can see them in the gallery. Mainboard is quite early unit without RAM expansion connector and with some hand-written markings on chips. 25.07.2016 Added a comparative benchmark of 8-bit computers. Now it can be seen which one is the fastest and which one has some performance drawbacks. Benchmark covers some simple calculations as well as displaying large amounts of text on screen. 18.07.2016 Hello from the new location. Free hosting decided to roll up and leave their customers without any support nor access to servers, probably because of DDoS attacks. Current website is a bit modified, so all parts of previous old site have been incoroprated into newer (yet still old-looking) one. Be careful of falling URLs as some parts are still under restoration. I hope this new address, http://oldcomputer.info, will survive longer than previous one and you'll find help in my site. 08.05.2016 Added Amstrad PcW9512 computer, enhanced version of PcW8256. 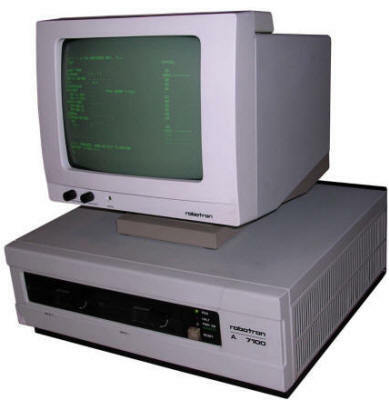 This is a Z80-based CP/M machine with 720kB 3" floppy disk drive and 512kB of RAM. 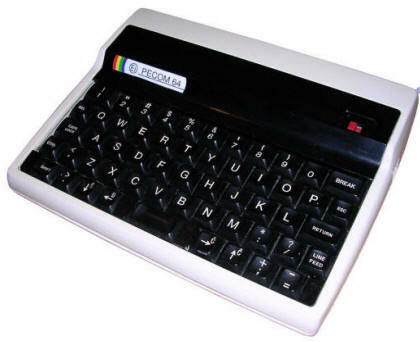 It has a monochrome, white built-in CRT display and can use a proprietary daisy wheel printer. And don't forget to look at the refreshed Restoration and discovery of old computers text. 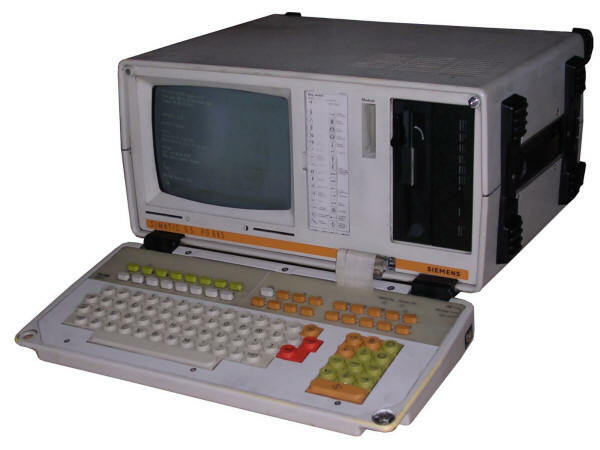 22.04.2016 Added Siemens PG-685 portable computer with 286 processor, being more CP/M machine than a PC but it can run MS-DOS 2.11. It was used to program industrial control machines. There is 1MB of RAM and 20MB Winchester-type hard disk. Picture is generated on internal monochrome CRT monitor. Running with such antique form, this computer is not so old, it is from late 1980s. It is made of surface-mounted chips and has quite modern technologies under the hood. 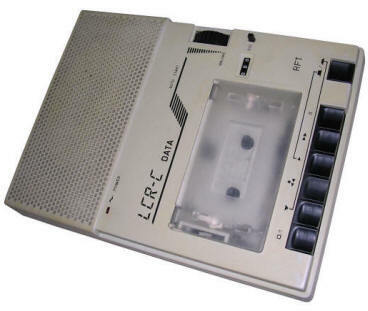 13.04.2016 Added a RFT LC-R tape recorder made especially for East German RFT KC85 or KC87 computers. However, it may work with any computer using sound input/output. 04.04.2016 Added an unusual Z80-based computer from mid-1980s: Alcatel 7100. 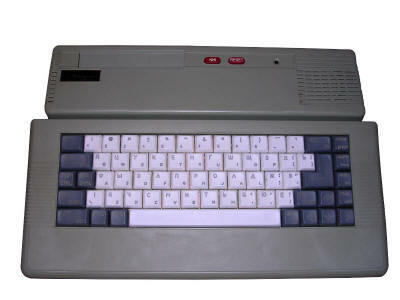 It is built on a base of AES 7100 Model 203 word processing computer, but has quite unusual modifications introduced probably by Alcatel. And it seems that there is no operating system nor software for it. 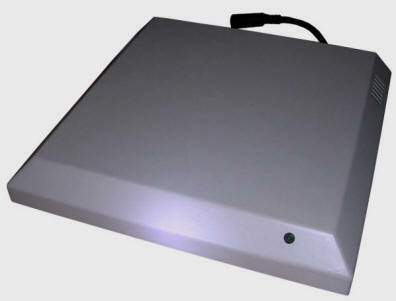 12.03.2016 Added Polish IKT-6 terminal, late-1990s unit which works with PC peripherals. Probably non-original power supply unit for Unitra portable calculators. Small update in slide rules section - two items added. 25.02.2016 Added few new things. 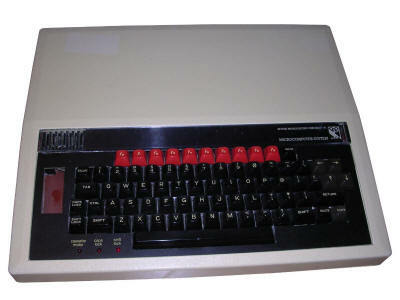 - Acorn BBC Master Compact computer, which is a smaller version of BBC Master, a disk-based computer from 1986, this one with 3.5" disk drive. - Two photos of Amiga RAM expansion and mouse. 20.02.2016 A small update with RFT KC85/4. New photos and loading programs procedure corrected a bit. Added floppy disk drive and controller for RFT KC85/4. Well, it is in fact another computer with own Z80 CPU and RAM, which runs a CP/M clone. The original KC85 becomes a terminal then. 15.02.2016 Added text: Restoration and discovery of old computers. Explaination what to do with old computer to restore it and discover its capabilities. 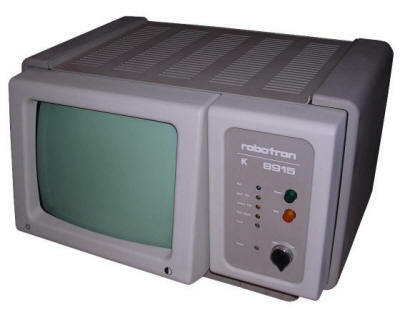 In queue: More Robotron KC85/4 photos, Robotron KC floppy disk drive and controller, maybe few things more. 06.02.2016 Acquired a small, portable, battery-powered 8-bit microcomputer with docking station - Ronex TPC-8300. It can be programmed using BASIC and results are shown on LCD screen or printed using unusual pen-based printer working more like a plotter. Hosting has small problems with image gallery, I think they will fix it soon. 16.01.2016 Happy new year. Another 8-bit microcomputer in collection: Texas Instruments TI-99/4A, an early home computer with 16-bit processor and unusual RAM access methods. Slowly updating PC section with interesting computers. 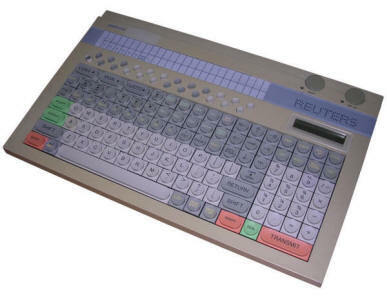 19.09.2015 Added Humantechnik Textel Compact "digital teletype" terminal - device with built-in modem and telephone handset coupler, manufactured in small quantities in early 1990s. 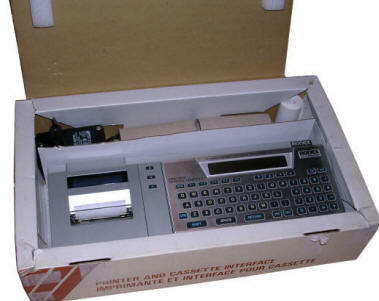 In fact it is a battery-powered, portable microcomputer system built around 6502 CPU with system programmed as teletype, with memory, printing support and address book. 25.07.2015 Two new terminals: Siemens Bitel T3210 and Magis Club. 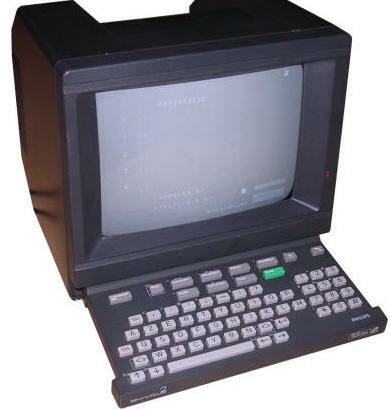 Siemens for German Bildschirmtext service, Magis for French Minitel. Siemens is a full microprocessor system from 1986. It consists of few PCBs of different functions. 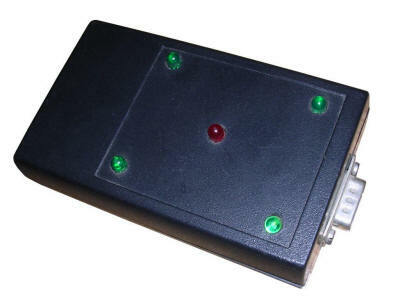 Magis (1999) is newer and it is built around embedded systems microcontroller. 9.05.2015 I've analysed signals coming from Transled LED display driver. All results and explaination how to do it can be found in my article. There is also a Perl script which converts logic analyzer data to LED display "images". 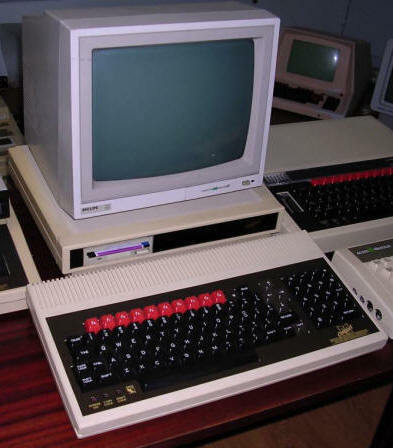 01.05.2015 A new computer in collection: Acorn BBC Micro Model B. 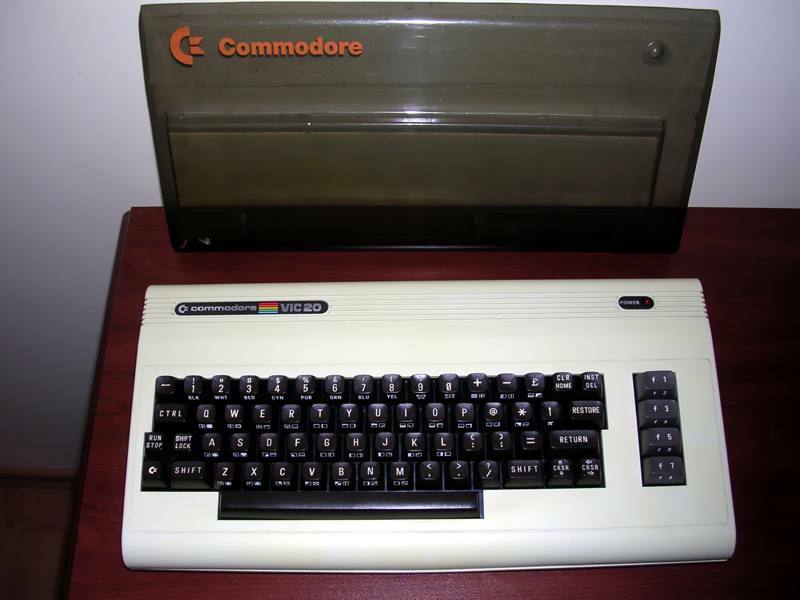 This famous British computer was used in many schools in the UK. 6502 processor, ca. 2MHz, 32kB RAM, built-in BASIC and ROM expansion. My unit has additional expansion connector for Solidisk board, but no board fitted. PC Section is under construction. 18.02.2015 New in collection: Amstrad PCW8256 - an English word processing CP/M machine. 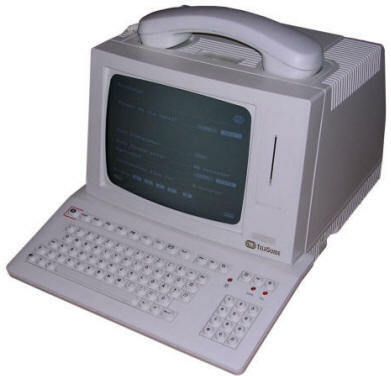 It was simple, efficient and cheap so it gained popularity as office computer and word processor. Also some updates to Unipolbrit Komputer 2086. 29.01.2015 Welcome in 2015. Today more updates. 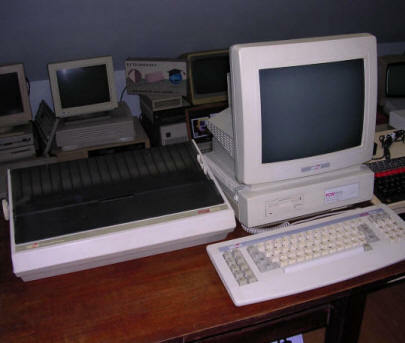 Added 3 new computers: Timex-Sinclair TS1000 (ZX81 clone for USA market) with printer (non-standard spark-printing mechanism which can print only on special paper) and 16kB memory expansion, Robotron KC87 (also known as KC85/1) and KC85/4 - KC85/3 with improved architecture and more mmeory. 28.12.2014 New computer in collection: Orel BK-08. 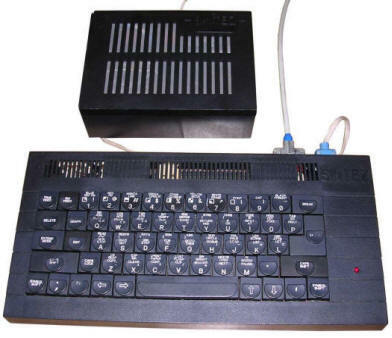 This is a Soviet/Ukrainian ZX Spectrum clone made with TTL chips. 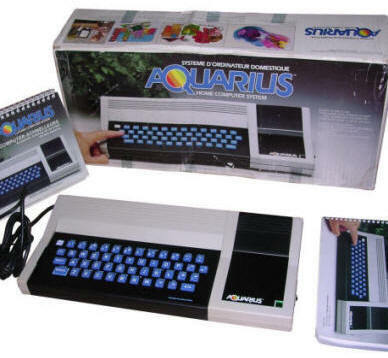 It has some unusual functions, not present in original Spectrum and more comfortable keyboard. 13.12.2014 Added new media: Minidisc (unfortunately, no device to read it), 8-bit accessory: Amiga joystick tester. Big thanks to donator :). A new photo in Small QIC streamer page, slowly completing Others section. 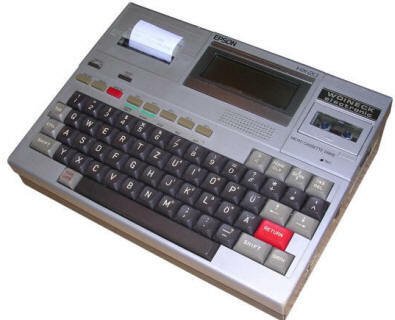 Sharp MZ-800 - I've got another one with tape recorder, look for update. 06.11.2014 A new computer in collection: Robotron A5105, sometimes called BIC, a Z80-powered computer which could run Basic programs as well as CP/M software. This computer has been manufactured in East Germany in 1989. 14.10.2014 A new laptop in collection: Compaq LTE 5300. 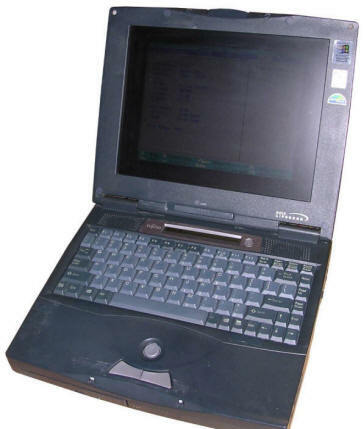 Nice Pentium-era notebook computer with Windows 95 and one of the last in Compaq's traditional LTE series (started from 286). Additionally Atari SM124 monitor and part of IBM terminal (unfortunately only display unit and keyboard - without logic part): IBM 3180. 20.09.2014 Welcome back. The web server had problem and site was offline for about 2 weeks. Not many changes, you can see Tandy 1100FD laptop and new Atari computers: 520ST and 800XE. Tape recorders and Joysticks sections have been updated with new accessories (additional manuals/photos of Atari tape recorders and QS130f joystick). 28.06.2014 Now Laptops and portables section is probably complete. It shows all my notebooks and portables to ~2000 with few exceptions (some unusual newer machines). My Philips Videopac G7000 is running now as I replaced bad CPU with Intel 8748 flashed with microcode. 26.05.2014 Added Microtrol rare portable computer. 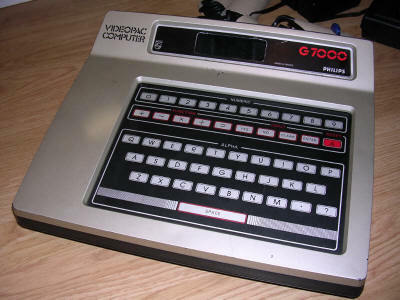 - Philips Videopac G7000 - will be described when I'll find a new CPU for it. Photos of new PCs from my collection can be seen in PCs gallery. 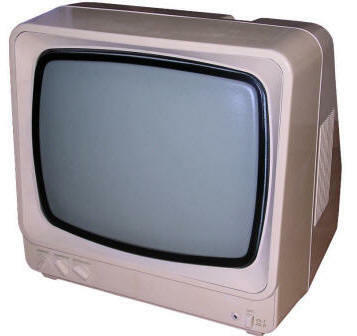 - Biazet MMK-127 monitor, unfortunately not in working conditieon, added to collection. - eMac G4 1GHz - second eMac model manufactured after 700MHz, with ATI graphics accelerator. 12.12.2013 More updates: BASIS 108 computer in 8-bit section, some Amiga hardware, Philips 80 monitor, KFAP ED505 floppy drive, and some new Amstrad CPC6128 photos. 22.11.2013 Not a big update, Maoptix or CSC Optical 1 MO 5.25" drive photos on MO drives page. 10.09.2013 There was no update for a time... I came across an old PC manufactured by IBM. Restored it, this PS/2 is mostly compatible with ordinary PC, only HDD connector is non-standard, FDD has power wires in ribbon cable. I had to modify Dallas 1287 RTC to make it work as its battery was dead. You can see its photos. 10.06.2013 Now you can see this small Alcatel terminal: Terminatel 258. 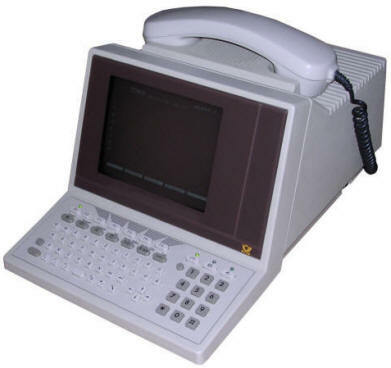 Designed for French Minitel telephone network, this unit was used to connect to remote systems directly through telephone line. This version has Polish keyboard, menu, character set and messages and starts to phone book with optional password protection. 04.06.2013 Commodore 128D, DCR in fact, arrived. I don't have keyboard for it, but it boots and starts properly to C64 and 128 mode and can be tested with cartridges. You can see it in its page. I'm also slowly doing a DIY keyboard for it. I'm awaiting an Alcatel terminal, I don't have any information about it, after I discover something i'll post its page here too. 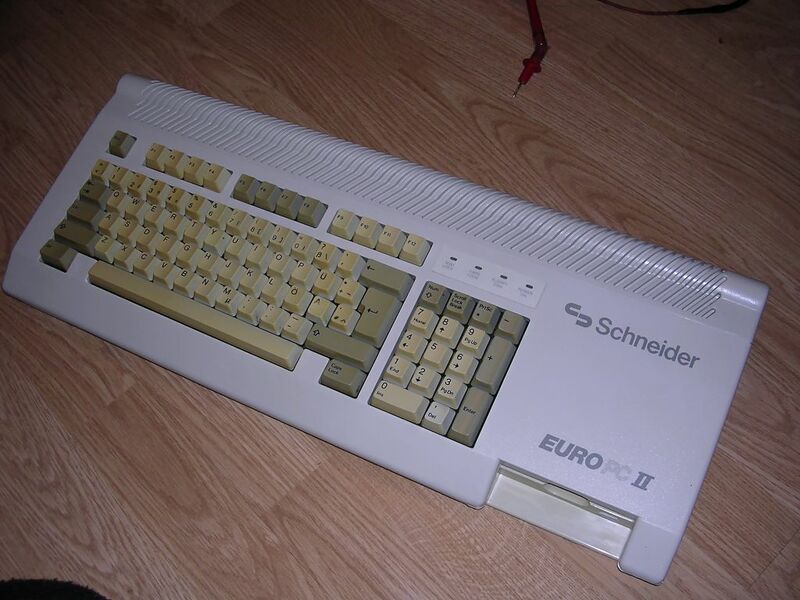 20.04.2013 Another item in my collection: Schneider Euro PC II. Restored from leaking battery problems, now working, you can see its photos. Ah, power connector is 19V DC (may be unregulated), looking to the holes of connector: two on the left to +, two on the right to -. 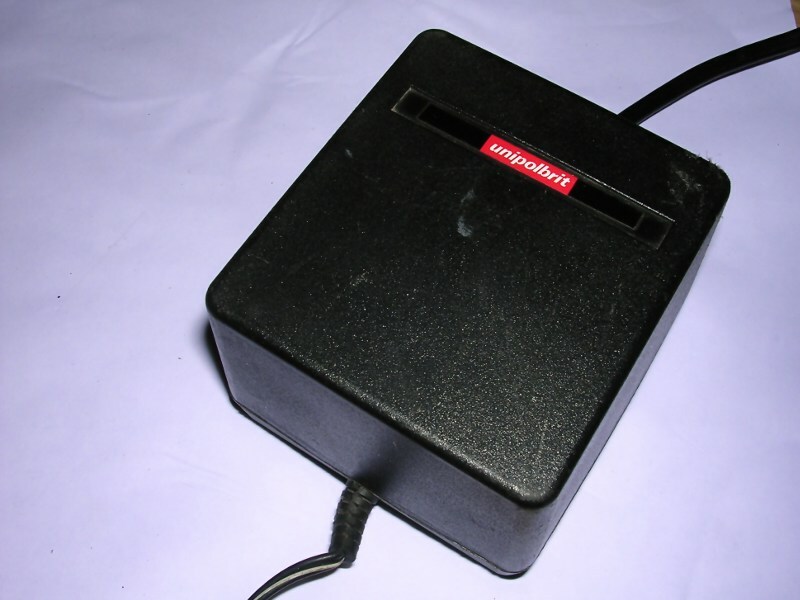 There's an article how to modify PC floppy drive to Euro PC. 12.04.2013 Media section is ready. About floppy disks, streamer tapes and other data storage units. 01.02.2013 Identified Hilger as LSI Octopus computer. Don't forget to look at some photos of Robotron manufacturing plant in Sommerda! Removed probably all JS code, now pages are few kB larger but it's possible to use it in very old browsers. Only HTML and CSS. It should be possible to open all links in new tabs now too. 18.01.2013 Finally got Robotron 1715 working. Written more information, tried to describe mainboard, you can also see photos of running software. Older news moved to the news archive page available below this frame. You can see Mera 7951OM terminal and totally unknown computer: Hilger. Added a sketch of IMM Alfa - probably the first Polish terminal in Terminals section. 27.11.2012 I don't have much time and good internet connection. 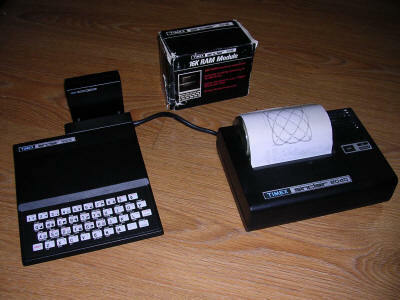 But I got an Acorn BBC Master with 5.25" floppy drive for it! I think I'll get a 3.5" drive for Acorn, so it's already on list. 26.09.2012 I'm not dead... yet. I just defended master thesis about data compression, and I'm writing a really BIG FAQ about data storage for this site. And I've got another item, SV-125 joystick. I've added a pinout of Amiga 500 - Commodore 1084 monitor cable which was suppled with this set. 15.07.2012 OK, here is terminals section ready! 10.07.2012 I know, I know, terminals section, but I'm dealing with quite complicated scanned document, I should push it in 3MB. You can look for terminals photos now. Thanks to Mr. Artur who donated me IBM PS/1 tower computer. It'll be described with other PC compatibles. Look at the photo how it was restored. 16.06.2012 Terminals section is almost ready to upload. Acquired Macintosh LC 630. 04.05.2012 Apple computers section completed. You can see it by clicking on the Mac on this page or here. You can see original Amiga 500 RAM expansion in its gallery. 26.04.2012 Meritum software is not listed in Fileland anymore, it has its own page with screenshots, and descriptions! 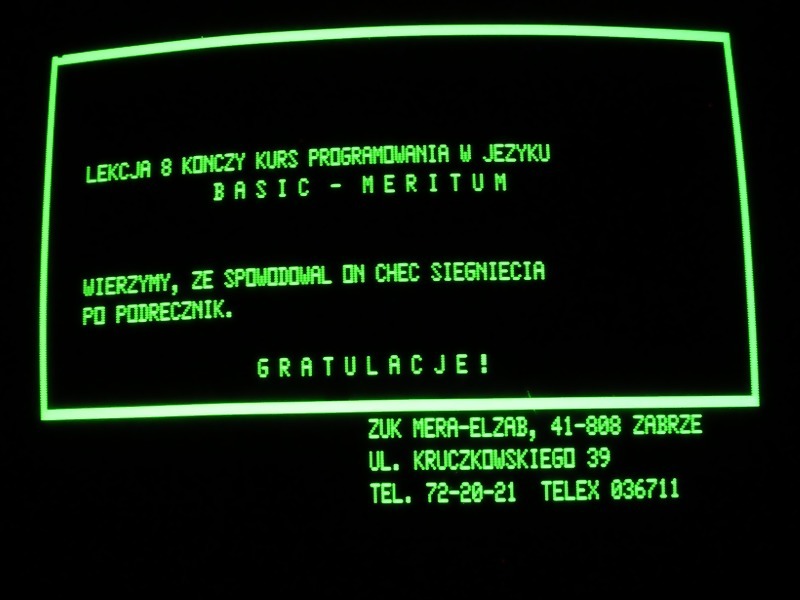 You can discover the software for this Polish computer on its page. 24.04.2012 Found an original power supply for Unipolbrit 2086. You can see photos of it (and its internals) here. I'm taking photos of my Apple computers. 2.04.2012 You can visit an additional image gallery, with photos from my workbench. 28.03.2012 Added a good schematic scan of Meritum computer, look for it in its fileland. Added a tip about Meritum's USR command, which is different in Meritum Model II. 23.03.2012 Now you can read about Power Mac 6100 and see its photos! With its 66MHz CPU and 500MB hard drive it works well with System 7.5.3. It's the first Macintosh model with PowerPC processor. It has a PC emulator board too, it can emulate a 486DX2 PC system with 486 CPU running at 66MHz. 20.03.2012 Acquired protective screen cover for Neptun 156 display, you can see it here. More, I received a Power Macintosh 6100 which will be described in Macs. Started taking photos of Apple computers. 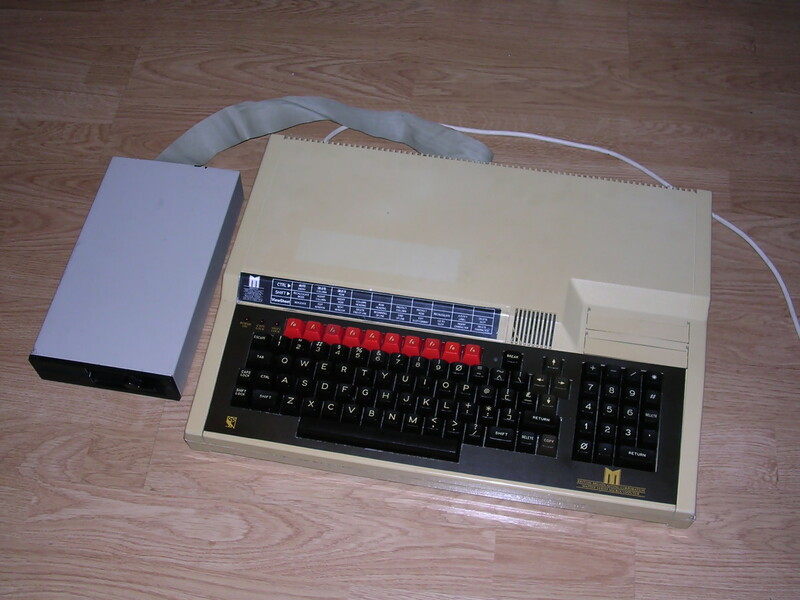 9.03.2012 Some photos and info about VIC-20, a new computer in my collection. 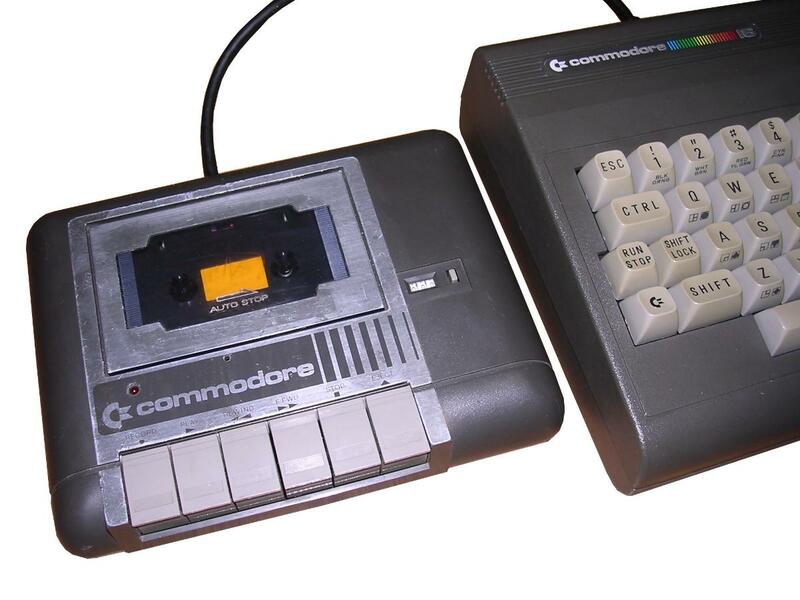 C64-like Datassette to C16 - another new unit, see it here. 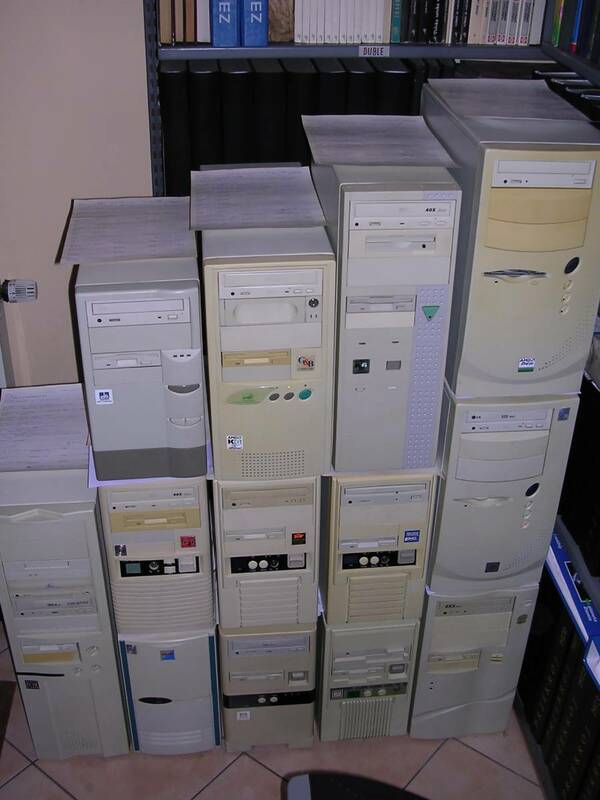 Acquired a strange IBM PC, looks like these old 486 workstations, but contains quite modern Pentium III CPU. 27.02.2012 Acquired 2 cassette tapes for Meritum computer labeled "Program library for MERITUM I". You can see the photos here (page 2). Data restoration in progress, but don't expect success as they are heavily damaged. 21.02.2012 Got a Mac IIvi to my collection. No photos yet, but Macs are updated to iMac G3. I'm writing General FAQ about Macs. 18.01.2012 Finished 8-bit microcomputers section. Added dedicated accessories list to each of microcomputers. Now it looks like a database report :). Now, I'm gonna write something easier, probably about Macs. 26.12.2011 Added display units, not all, but more important ones. 16.12.2011 Tape recorders added. Added two more categories: Joysticks and display units are to go. 09.12.2011 Added a few new photos of Atari 65/130XE (actually 130XE) screen during bootup and hardware test. Look here for them. Finishing floppy drives section of 8-bit computers. After adding tape recorders everything will be complete in 8-bit section..
04.12.2011 Made picture gallery more surfer-friendly. Floppy drives are described, but I have to process photos I took. 20.11.2011 Completing 8-bit computers accessories. 09.11.2011 Acquired Spectravideo X'press SVI-738. Await a description. 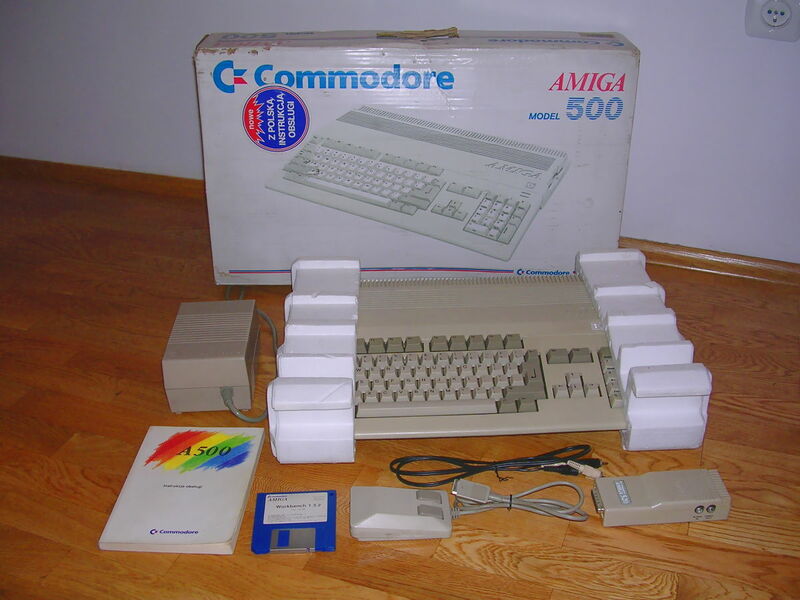 25.10.2011 Got a new Amiga 500, built on Amiga 500+'s mainboard. See photos of its mainboard in the bottom of page here. 01.10.2011 As exams are gone, it's going even slower. I don't feel like doing it, but slowly I'm completing 8-bit section. 09.09.2011 Because many exams will come, it's going slow. 01.09.2011 Set up this site and trying to describe computers in my collection.